A group of white separatist domestic terrorists have occupied the Malheur National Widlife Refuge Building in Burns, Oregon, fronted by the racist terrorist leader Cliven Bundy, who organized supporters to point sniper rifles at federal officers without any consequence in Nevada last year. The local and state cops didn't even come by the scene of the occupied building the first day. It's a stark contrast with the heavily armed police turnout for last week's peaceful #blacklivesmatter protest at the Mall of America. The terrorists have turned out in support of Dwight and Steve Hammond, local ranchers who were convicted of arson after setting repeated fires, purportedly to control invasive species, that spread to adjacent federal land. Prosecutors say that the fires were set to cover up evidence of illegal deer hunting. The men had served a one-year sentence, but were to be re-imprisoned following a successful federal appeal of their sentences. The shenanigans around the Hammonds' sentencing prompted Bundy's son and some of his allies to set up a headquarters in Burns, and to call for violence against the US government to prevent the Hammonds' re-imprisonment. The Bundy-led terrorists say that they plan to permanently occupy the Malheur building. Oregon Public Radio has great coverage. The militiamen broke into the federal building with supplies, including food and a generator. Cliven Bundy spoke to his son, Ammon Bundy, on the phone after they occupied the building. The Hammonds have said they will report to prison Monday for a five-year sentence. Bundy said his son felt obligated to intervene on behalf of the Hammonds. "Militia" is how these people self-identify, that doesn't mean media should. They're terrorists. Whiteness is getting to define yourself. 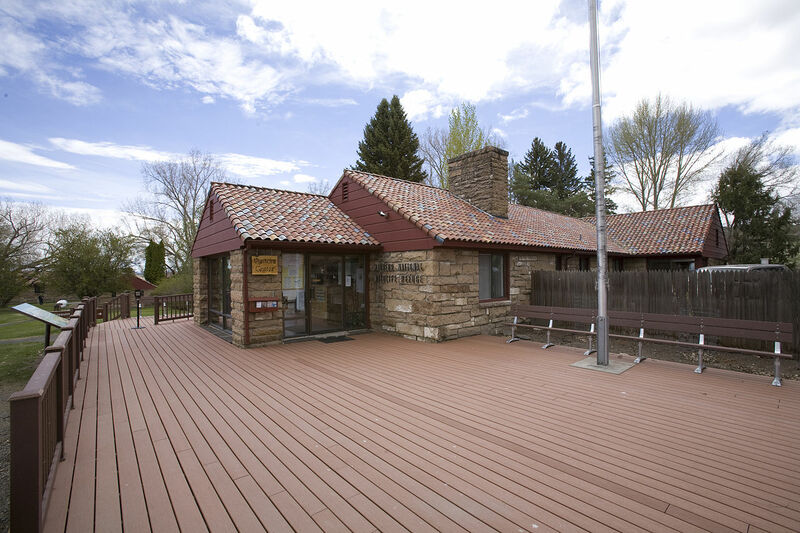 (Image: The headquarters of the Malheur National Wildlife Refuge was taken over by militias on January 2, 2016.